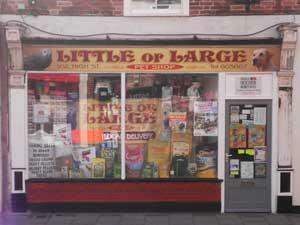 Little or Large in Gorleston-on-Sea near Great Yarmouth is a pet store specialising in the sale of small domestic pets and birds, animal cages and housing, accessories and pet foods. From Great Yarmouth follow signs for Gorleston-on-Sea. Little or Large is located mid-way along the main High Street.